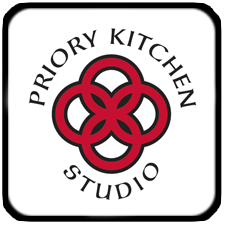 Here at Priory Kitchen Studio, we are Preston’s leading kitchen design experts. 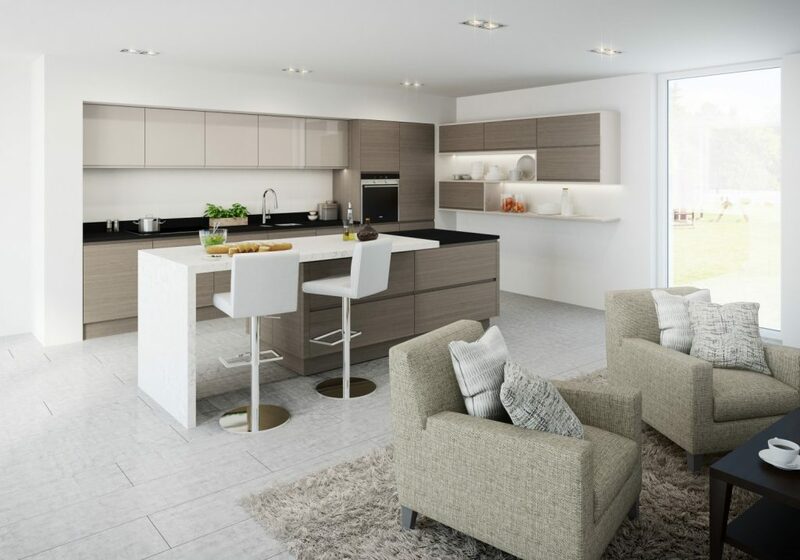 From kitchen worktops, to cupboard styles, we keep an eye on the latest trends and developments in kitchen style, and always stay ahead of the game. This includes kitchen seating options. Bar stools are not only a practical kitchen consideration, they can also be a stunning styling option too. As a result, we have produced this guide to choosing bar stools for the contemporary kitchen. If your kitchen is plain white, black, or a monochrome mix, you could be missing out on some much needed colour. Bar stools can be the perfect way to inject colour into your kitchen space, and draw attention to your kitchen style. Why not try a deep purple, or an elegant red to brighten up your space, and add some personality too? With an emphasis on straight, severe edges, contemporary kitchens might be best suited to square bar stools, but the rounded edges can soften the hard lines, and add character and depth. After all, statement curves are often welcome in contemporary worktops and breakfast bars, so why not the bar stools too? So, whether you go for seats that are square or rectangular in shape, or choose something more rounded, your bar stools will add an extra dimension to your contemporary kitchen. When choosing bar stools for the contemporary kitchen, it can be easy to go for hard acrylic options, to match the kitchen cabinets. However, you shouldn’t overlook the comfort of your bar stools, and if you want them to stand out, why not choose a different material? Padded bar stools don’t just add style to your kitchen, they are also incredibly practical. And with an adjustable height, our range of padded bar stools are suitable, and comfortable, for the whole family. Why not take a look at our range of deluxe bar stools today, here at Priory Kitchen Studio?